Do you need your playoff bet to cover the spread? Do you need to win a bowl mania office pool? Do you need to finish your holiday shopping? If you answered yes to the first two questions, then you’ll be happy to know that we’ve got you covered. 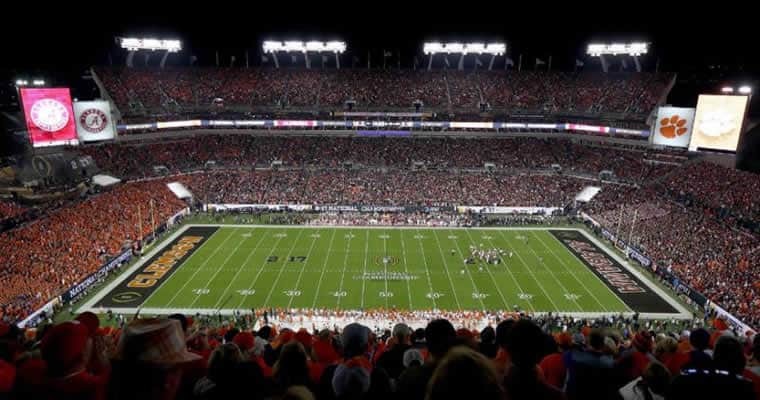 The 2018-19 college football bowl season kicks off on Saturday, Dec. 15 and ends on Monday, Jan. 7 with the 2019 College Football Playoff National Championship game. We’ll go through each of the matchups by date, but there’s no more time to waste (especially if you still have shopping to do), so let’s jump right into our pick to cover the spread! All point spreads are provided by Bovada. To view the current and other up-to-date betting lines for college football, click here. Our ATS picks will be highlighted in green. Note: We picked Notre Dame/Oklahoma ATS but believe neither will win their semifinal game. The spread below is not official and is the predicted spread if the title game was held today between who we believe will win the CFP semifinal matchups.